iPhone 4S, iPad 2 and iPad mini: restart of the device is recommended. 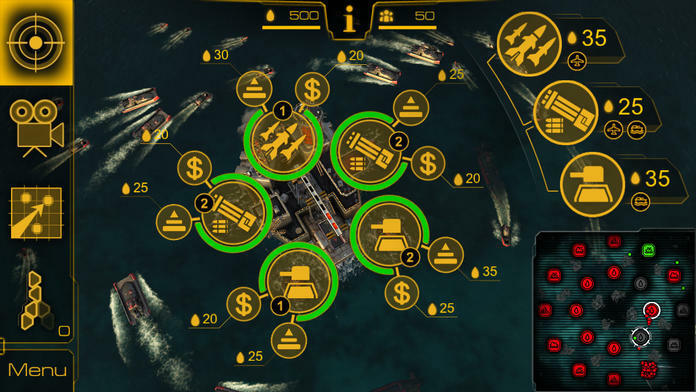 Oil Rush is a 3D naval strategy game that takes place in a post-apocalyptic world; nuclear war has melted the ice caps, changing the face of the planet forever. 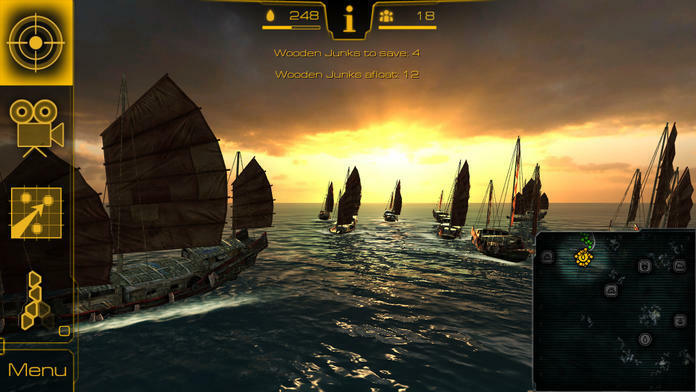 It features unique gameplay focused on group real time strategy and global-scale decisions. Plan several steps ahead, as every single swipe counts. 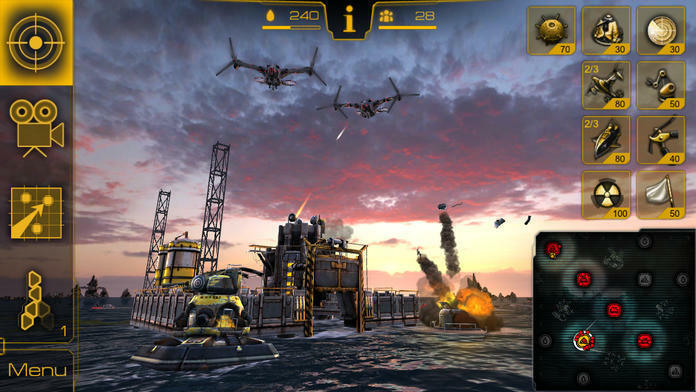 Get ready to command a naval war between fierce armies striving for the last remaining supplies of oil. Smash through onrushing waves of enemies while experiencing a thrilling story of apocalypse, military technology, and never-ending battles! In a post-apocalyptic world, now a boundless ocean from the tropics to the Antarctic, two things are running short: oil and time. The last survivors, in their desperate desire to seize control of resources and to dominate the enemy, have started naval warfare that has turned the whole planet into one large battlefield. In these harsh and cruel times, oil is thicker than blood. 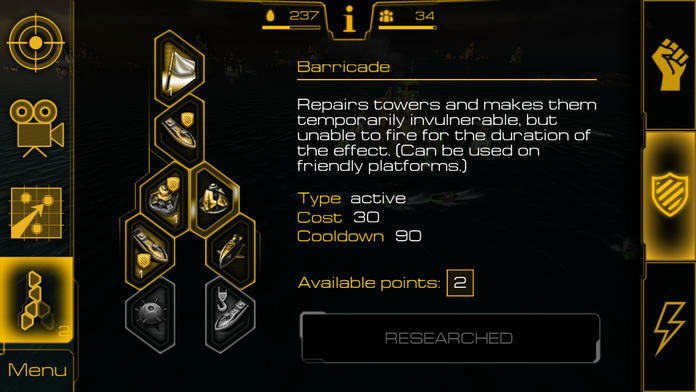 Capture, upgrade, and defend floating production platforms, while pumping the black gold with oil rigs to fuel your army. 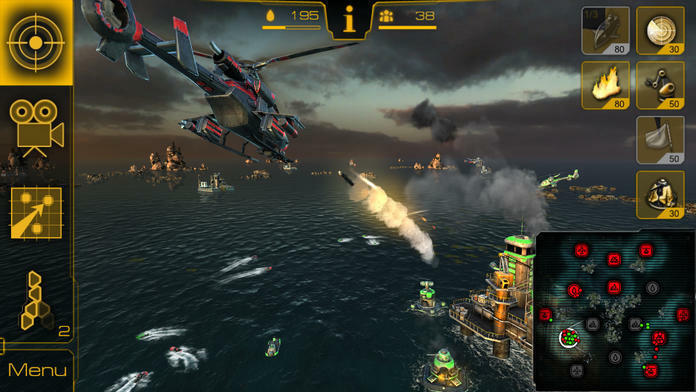 Be quick to send groups of naval and air units straight into the heat of battle. Use different tactics to manage your military groups, as each map offers unique opportunities. Unlock super technologies and nuke the enemy into submission!